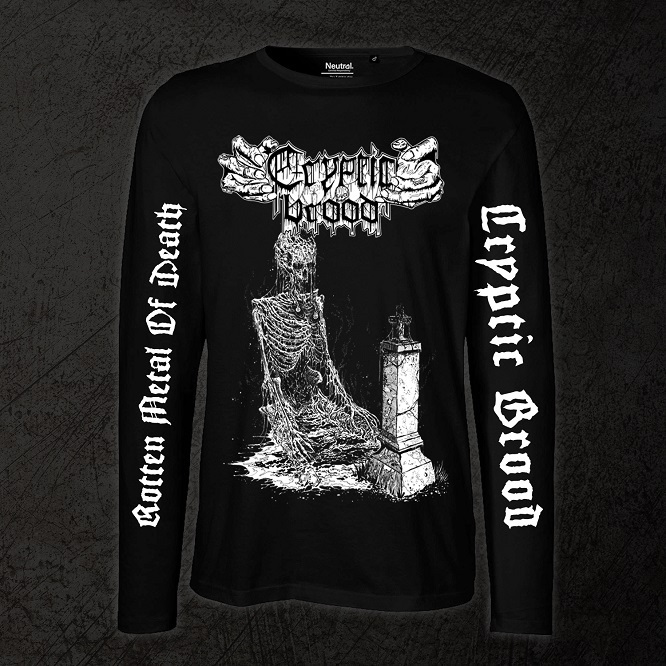 A limited amount of CRYPTIC BROOD longsleeves is available from Lycanthropic Chants for pre-sale now. The artwork was done by Mark Riddick (RiddickArt). The cheap price will be available until the order will placed at the screenprinter (~end of January 2018).